EUS Ex-Officio Clubs are optional (unlike the EUS, and Departmental Clubs) clubs that have members that are dominantly UBC Engineers. In order to be considered an Ex-Officio Club, membership must be open to students in all departments in Engineering. Ex-Officio Clubs are not considered to be officially affiliated with the EUS in terms of government or funding, but they are recognized as being significant. The EUS considers Ex-Officio Clubs “In-House Organizations” which allow for them to benefit from EUS in similar ways to Departmental Clubs (ie. booking privileges, rental of equipment, use of Ex-Officios, etc). Ex-Officio Clubs are thoroughly respected by the EUS and involvement with them is encouraged. female-identified and non-binary engineering students and alumnae. AΩE promotes personal growth in the areas of friendship, leadership and professionalism. The members of Alpha Omega Epsilon come from all departments and years of engineering. This range of experience and backgrounds gives members an opportunity to meet new people, make connections, develop new skills, and become involved in the engineering community. Every year we hold professional development events open to the general UBC population, aimed to improve leadership skills and academic development, as well as philanthropic, fundraising, and social events.Here at UBC, our chapter of AΩE is the first international chapter in the world. Alpha Omega Epsilon is a place where female engineers can come together to meet new people, make connections, develop new skills, and become involved in the engineering community. Every year we have professional events that are aimed to improve leadership skills and academic development. AΩE also focuses on sisterhood, friendship, and personal growth. We welcome women from all years and departments to share common interests and experiences and to make new friends. The sisters of Alpha Omega Epsilon would like to invite you to see what we are all about. Our recruitment events and open house will take place during the first few weeks in September; check out our website at www. aoe-eta.ca for a full list of events. For more information, visit our website or email the AΩE president at aoe.eta@gmail.com. Engineers for a Sustainable World (ESW) is an international organization dedicated to the advancement of sustainability in our society. ESW consists of student and professional chapters that undertake engineering and outreach projects in their communities and around the world. At UBC, our ESW chapter provides an environment where students from any discipline can gain experience with sustainability in the context of engineering design. We seek to solve practical problems in our community. In particular, our biodiesel reactor has been turning waste vegetable oil into fuel for the past several years. We also have projects in solar energy and education, and we’re constantly expanding the scope of our work. If any of this sounds interesting to you, feel free to get in touch. You can find us at esw-ubc.ca. Are you interested in helping others? Passionate about thinking critically? Seeking personal growth? Well then, Engineers Without Borders is the organization for you! EWB is an international development organization that focuses on addressing the root causes of poverty, and the changes that we can make to alleviate these inequalities. At the local chapter level, we host member-learning discussions to broaden our understanding of global issues, and advocate for international aid transparency. Overseas, our staff and volunteers work in partnership with local organizations – our work is focused on enabling public services for rural communities, such as access to clean water, and providing opportunities for starting businesses. More than anything, the EWB UBC chapter is a launching pad for ideas, aiming to create a new generation of critical thinkers. We practice a culture of feedback and demonstrate our values by changing communities through the ventures we operate. EWB UBC fosters global thinkers and actors by facilitating connections amongst community members and introducing them to new perspectives. If you’re passionate about development issues or interested in learning more about how you, as a young engineer or member of any faculty, can affect positive change in the world around you, we’d love to see you out at one of our weekly meetings – check out our website www.ubc.ewb.ca for meeting times, or our Facebook page – Engineers Without Borders – UBC Chapter. Formalized in the spring of 2016, Gears and Queers is an LGBTQ+ engineering club dedicated to creating an open, accepting space for queer and trans engineering students at UBC. We strive to build and support a community for queer and trans engineering students and provide a positive safe space on the UBC campus through social and professional events and a visible presence in engineering student life. Our goals are to beneficially impact the broader engineering community and create a more accepting environment for all people, regardless of romantic and/or sexual orientation or gender identity, through thoughtful diversity programming, advocacy, and social opportunities. Gears and Queers is also open to our non-queer allies (fondly known as “Gears”). Join us at our meetings every other week, find us on facebook, or attend any of our events, we’re open to all levels of commitment. We hope that through Gears and Queers we can cultivate a welcoming community and foster a safe space for everyone. More questions on how to get involved? Email us at gearsandqueers@ubcengineers.ca or find us on facebook. UBC IEEE represents the student branch for Institute of Electrical and Electronics Engineers. UBC IEEE plans different events and activities for the Electrical and Computer Engineering (ECE) Department at the University of British Columbia. These activities include research panels and discussions, group trips (e.g. Power Tech, Fortinet), international field trips (South Korea, France, Germany, Taiwan, Japan), industry dinners and other exciting events. We also have many societies within IEEE including the Communication Society (COMSOC), Computer Society, Engineering in Medicine and Biology Society (EMBS), Power and Energy Society (PES), and Women In Engineering (WIE). Although we mainly associate with the ECE department we are very welcoming of individuals from all over UBC who have an interest in electronics and computer science. If you have any questions feel free to check out our website ubcieee.org or send us an email at ubcieeechair@gmail.com. Sigma Phi Delta is the largest professional and social engineering fraternity in the world, with chapters across North America. Theta Chapter has been here at UBC since 1932, and our wide network of alumni stretches across all engineering disciplines, giving you a chance to network with professional engineers around the world. We are proud to be some of the most involved people on campus – you’ll find an SPD brother in just about every aspect of Engineering at UBC. We are leaders in student government, compete on student teams, host professional and social events, and know how to have a good time. Keep an eye out for two of our major events: Animal Haus (a toga-themed party) and Green Slime (our annual St. Patrick’s Day party); you don’t want to miss them! If this sounds like the life for you, come check out our Rush events at the beginning of the school year; we look forward to meeting you. The Haus, our Point Grey mansion, is located just off campus at 4586 West 6th Avenue. Drop by for a beer any time and say hi! You can stay updated with our events on Facebook under Sigma Phi Delta – Theta Chapter. 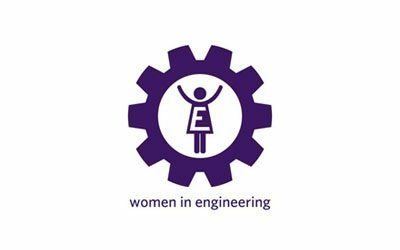 Women in Engineering (WiE) is a student organization that advocates for gender diversity and equity in engineering. It was created by faculty and students to increase the retention and representation of women in the profession. WiE supports the student population via career and leadership development workshops, and organizes outreach initiatives for high school and elementary school students. Some of their events include the Women in Science and Engineering (WISE) mentoring event, a non-traditional engineering careers panel, a workshop on identifying and addressing gender inequality in the workplace, and the December 6th Memorial. WiE welcomes all students, regardless of gender. If you would like to sign up for our news and updates or to join one of our committees, visit us at wie.engineering.ubc.ca.